Friday Prayers sermons in Iran witnessed slamming of the Iranian government policy in facing protests. 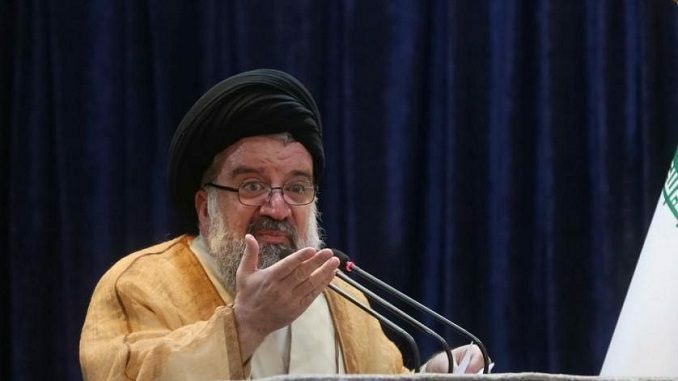 The toughest criticism was made by the interim leader of Tehran’s Friday Prayers Ahmad Khatami against the soft procedures in dealing with the feminist movement that is anti-obligatory to hijab in Iran, Asharq al-Awsat reports. Khatami accused Iranian President Hassan Rouhani of implicitly leading the hijab-less protests, considering promoters of annulling the obligatory hijab as auxiliaries of Europe. Iran has been witnessing in the past months a feminist movement led by Iranian activist women against what is described as mandatory hijab in Iran — the movement became the major challenge in the Iranian interior, after protests that spurred in more than 80 Iranian cities against increased prices. It is also undergoing escalation with protests going down to streets and removing the hijab – experts see that this is due to vows given by Rouhani during his electoral campaign to decrease pressure on women and halt discrimination against them. Up to 30 protests were detained and are likely to be sentenced to 10 years in prison in case the judiciary considered that their movement aims to encourage other women to imitate their action. Vice-President Masuma Ibtikar took part in the ongoing debate, following a video that went viral showing an Iranian policeman pushing a protesting woman from the podium to the ground before arresting her. Until now, the identity and fate of the woman haven’t been known, leading to rage even among the pro-hijab party. In a news conference, Ibtikar said that the government approves the use of power to impose hijab in public places. AFP quoted Ibtikar as saying that this is a social law but it is unacceptable to impose it by force. At least 29 people had been arrested as of February 4 in various cities in Iran for peacefully protesting against the country’s mandatory hijab law, which requires women to keep their bodies and hair covered in public. The detainees’ names have not been made public and it remains unclear how many remain in custody. 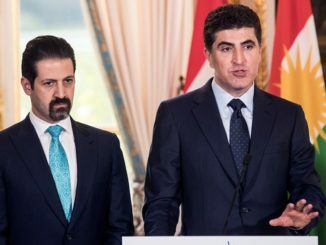 CHRI has learned that Vida Movahed, Narges Hosseini, Azam Jangravi, Shima Babaei, Shaparak Shajarizadeh, and Maryam Shariatmadari were among those who were arrested. Shariatmadari was badly injured after a policeman pushed her off a utility platform while she was peacefully protesting against the hijab. The protesting women have been following the action of Movahed, the first woman to be arrested after she waved her scarf on top of a utility box on Tehran’s Enghelab St. in late December 2017. The act of removing your headscarf in public and waving it like a flag has become a symbol for the “Girls of Revolution Street” movement, which advocates choice over compulsion for women’s clothing. 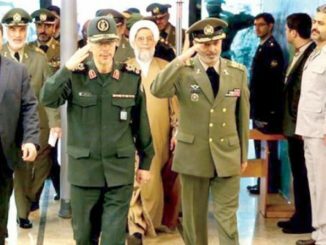 Iranian officials have tried to smear the protesters by claiming they’re being directed by outside powers. One protester who was arrested, a woman’s rights activist and member of a centrist political party in Iran, immediately rejected the accusations. In a related matter, 45 EU members demanded in a letter to EU’s high representative for foreign affairs Federica Mogherini that she backs those detained because of compulsory hijab and urge their release unconditionally. 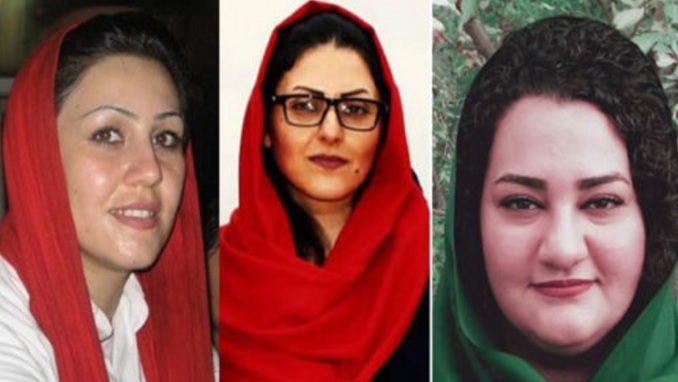 “We now ask you to publicly support the women who have been arrested by the Iranian authorities, by joining us in calling on Iranian officials to immediately and unconditionally release these women,” said the letter signed by the MEPs that was sent by the office of Dutch MEP Marietje Schaake on February 28, 2018. Mogherini represented the EU in the negotiations between Iran and the UN Security Council members known as the P5+1 (China, France, Russia, the United Kingdom, and the United States; plus Germany) from 2014-15. A final agreement was reached between the parties in July 2015 and since then various EU delegations have traveled to Iran. 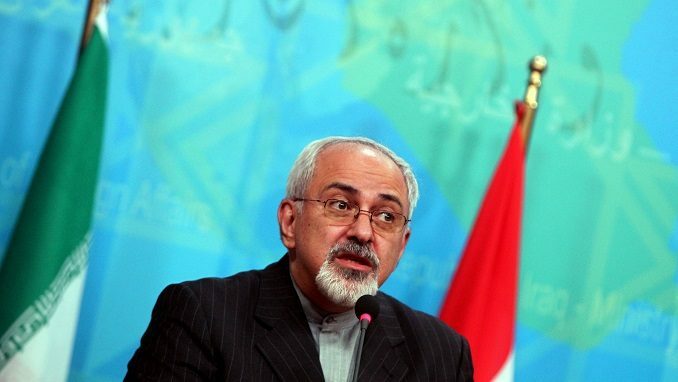 “Urging the Iranian authorities to respect human rights is not analogous to demonizing Iran. 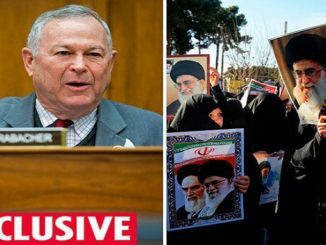 When countries with leverage on Iran are silent on the issue, they are not only failing the Iranian people, they are endangering European citizens who travel to Iran. Marietje Schaake and the other 44 MEPs are holding the torch by letting Iran know that business cannot carry on as usual while human rights are sidelined in the country,” said Hadi Ghaemi, the executive director of the Center for Human Rights in Iran (CHRI).